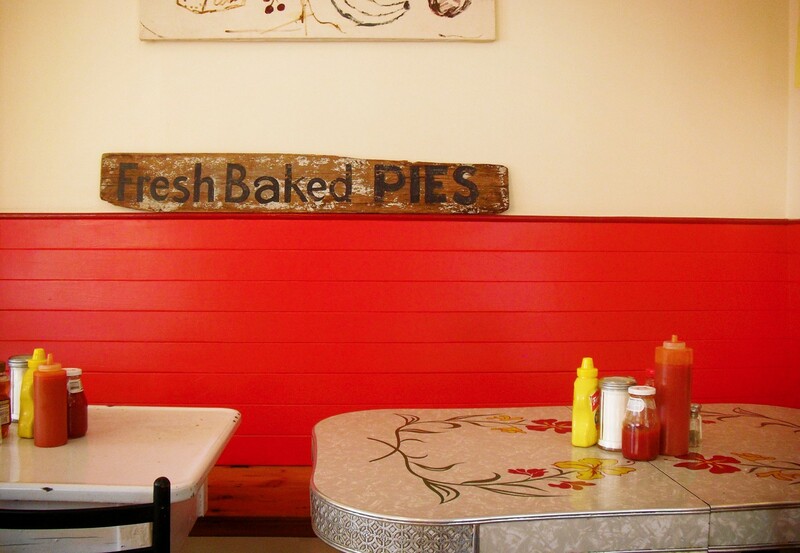 The new Pies 'n' Thighs has opened its doors, and Williamsburg's most influential hipsters are rejoicing. At least that seemed to be the case when we recently visited with Forking Tasty's Jason Anello. As a matter of fact, I'm pretty sure we happened to be eating there while the hipster council of elders was holding an election or something. They apparently have a new leader, and he has a really sweet tank top on. It does appear, though, that all those people in rolled up jean shorts know great home-style Southern cooking when they see it. This new, larger Pies 'n' Thighs location is still turning out amazing fried chicken and comfort food classics that make you feel good inside. The chicken biscuit might be one of the most ridiculously unhealthy things we've ever seen on a plate, and it's delicious. The place is cheap too - and cash only. No wonder it's hipster central. Luckily, there's an ATM out front spits out ten dollar bills, and we're pretty sure we saw a Coinstar machine next to it. Bring a bag of change and your best suspenders. Unfortunately not served in a box if you dine in. Instead, this is a few pieces of chicken and sides on a really old plate. Thighs are indeed present, and the skin is crispy and perfect. Fried chicken doesn't get much better than this. On our visit, we had rhubarb and banana cream pie. The rhubarb was pretty spectacular, the banana cream not so much. Regardless, you need pie on your table at some point during your visit. This was the only thing on the table that fell completely flat. Somehow this pile of pulled pork on a bun lacked flavor. We drenched it in hot sauce, but it still didn't come close to the other things on the table. You don't see fried catfish on an NYC menu very often. I think probably because eating any kind of bottom feeder caught in nearby waters would kill you. We doubt this fish was local though, and it's pretty tasty. We'll give this a B plus. For five dollars, you probably won't find a better way to get really fat for the money. On top of one buttery biscuit sits a piece of fried chicken, hot sauce, honey, and (no exaggeration) a quarter stick of butter. This really shouldn't be allowed. We almost passed this up - a hamburger here felt like it would just take up space on the table that could otherwise be occupied by something fried. However, our waitress insisted that the burger was excellent, "because the meat is really good". She was right. The beef in this burger is supremely tasty, and this jockeyed with the chicken items for the title of best thing on table. The mac n cheese is great, and has a spicy kick. Collared greens were smoky and also recommended. The spicy black eyed peas weren't all that spicy, and are served cold. Skip them. As for the rest, fries and cornbread are both serviceable, but we'd recommend saving extra room for pies and cookies. Finally, the kind of restaurant the Upper West Side has long been starved for. The Ribbon has style and substance and does classic food right.